Dr. Flanagan is Board Certified in Family Medicine and has over 14 years’ experience as an ER physician and maintains certificates in Advanced Cardiac and Advanced Trauma Life Support. He completed medical school at the University of Nebraska Medical Center then went on to residency at St Mary’s Family Medicine Program in Grand Junction, Colorado. He’s a diplomate of the American Academy of Family Physicians. 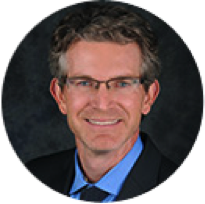 Dr. Flanagan is the founder of Nextera Healthcare, the first Direct Primary Care company in Colorado and has been a local Primary Care physician and Emergency Medicine physician for over a decade.